From 1st September 2014, the Department for Education introduced reforms to the way support is provided to children with Special Educational Needs. These reforms are very wide reaching and will impact significantly on how we work with parents and support children. Part of these reforms require each school to produce their ‘Local Offer’, which encapsulates how our school manages special needs and what parents can expect from us. If you have any queries regarding provision for children with special educational needs then please contact Morgan Currie who is the deputy head teacher responsible for Inclusion. The local offer provides information for children and young people with special educational needs (SEND) and their parents or carers in a single place. It is a document which outlines how we support children with special educational needs and their families. All Haringey maintained schools have a similar approach to meeting the needs of pupils with Special Educational Needs and are supported by the Local Authority to ensure that all pupils, regardless of their specific needs, make the best possible progress in school. All schools are supported to be as inclusive as possible, with the needs of pupils with a Special Educational Need/s being met in a mainstream setting wherever possible, where families want this to happen. Who are the best people to talk to about children with SEND in our school? Coordinating all the support for children with special educational needs or disabilities (SEND) and developing the school’s SEND Policy to make sure all our children get a consistent, high quality response to meeting their needs in school. Making assessments of children learning and progress to inform our choice of interventions and support. Alongside Class Teachers generating support trackers and sharing and reviewing these with parents at least once each term and planning for the next term. Updating the school’s SEND register (a system for ensuring all the SEND needs of pupils in this school are known) and making sure that there are very good records of your child’s progress and needs. Providing high quality teaching and checking on the progress of your child. Identifying, planning and delivering any additional help your child may need (this could be things like targeted work, additional support) and letting the SENCo know as necessary. In consultation with the SENCo developing appropriate support and sharing this through support trackers and reviewing these with parents at least once each term and planning for the next term. Ensuring that all staff working with your child in school are helped to deliver the planned work/programme for your child, so they can achieve the best possible progress. This may involve the use of additional adults, outside specialist help and specially planned work and resources. Ensuring that the school’s SEND Policy is followed in their classroom and for all the pupils they teach with any SEND. The day to day management of all aspects of the school, this includes the support for children with SEND. She will give responsibility to the SENCo and Class Teachers but is still responsible for ensuring that your child’s needs are met. She must make sure that the Governing Body is kept up to date about any issues in the school relating to SEND. Alongside the Governing Body has responsibility for allocating the SEND budget. Making sure that the necessary support is provided for any child with recognised SEND. Alongside the Head Teacher has responsibility for allocating the SEND budget. 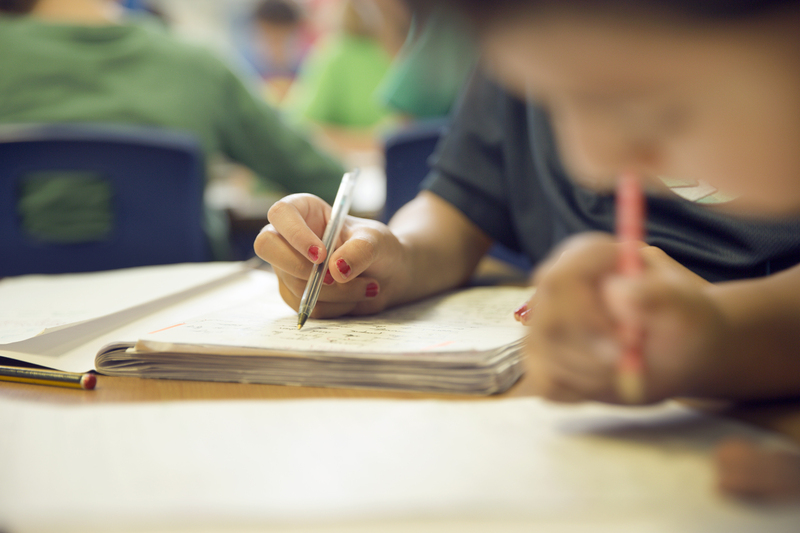 How can I let the school know I am concerned about my child's progress in school? If you have concerns about your child’s progress you should speak to your child’s class teacher and share your concerns as early as possible. This will enable the class teacher to address your concerns and provide appropriate support where required. If you are not happy that your concerns are being managed and that your child is still not making progress you should speak to the SENCo. If you are still not happy you can speak to the Headteacher or school SEND Governor. How will the school let me know if they have any concerns about my child's learning in school? At Campsbourne we recognise that early intervention and support is paramount in supporting your child’s development. Their progress is carefully monitored as part of our regular pupil progress cycle. discuss with you any possible referrals to outside professionals to support your child’s learning. This information will be shared with the SENCo who will be able to support both the child, yourselves and class teacher if required. The school budget, received from Haringey LA, includes money for supporting children with SEND. The Head Teacher decides on the budget for SEND in consultation with the school governors, on the basis of needs in the school. Your child’s progress is continually monitored by his/her class teacher through a regular cycle of Pupil Progress meetings that are attended by members of the Senior Leadership Team and the SENCo. His/her progress is reviewed formally every term by the Class Teacher and assessment levels given in reading, writing and maths. If your child is in Year 1 and above, but is not yet reaching expected levels, a more sensitive assessment tool is used which shows their level in more detail and will also show smaller but significant steps of progress. The levels are called ‘P levels’. At the end of each key stage (i.e. at the end of year 2 and year 6) all children are required to be formally assessed using Standard Assessment Tests (SATS). This is something the government requires all schools to do and are the results that are published nationally. Children who currently have a Statement/Education Health Care Plan or receive additional support from external professionals will have an SEN review which looks at the current support in place for your child. This is reviewed termly with your involvement, and the plan for the next term made. In addition to this the progress of children with a statement of SEND/ EHC Plan is formally reviewed at an Annual Review with parents, class teacher, SENCo and other professionals who may be involved with the child’s education. The SENCo will also review and check that your child is making good progress within any intervention groups that they take part in during the school year. The SENCo and Lead Learning Mentor meet regularly to review the progress of children with SEND (non academic) and to plan any additional support that may be required. At Campsbourne School we work very closely with all professionals who provide support for our children and welcome their advice and guidance in helping us to support children with SEND. Three Higher Level Teaching Assistants supporting Literacy/Maths development across the school. Speech and Language Therapy (provided by Health Service but paid for by the Local Authority). How are teachers at Campsbourne helped to work with children with SEND and what training do they have? We currently have staff who are trained and experienced in Makaton, working with children who have a diagnosis of Autism, working with children with a diagnosis of Down Syndrome in addition to staff who are experienced working with children with Speech and Language Difficulties. Our staff are trained to deliver Literacy Support through The Read Write Inc programme in addition to this we have staff trained to deliver a range of maths support programmes including Maths Mastery and 1st Class at Number. The SENCo is also able to support the class teacher in planning for children with SEND and our teachers are able to differentiate the class curriculum to support any individual needs that a child may have. The school has a training plan for all staff to improve the teaching and learning of children including those with SEND. This includes whole school training on SEND issues such as ASD and Speech and language difficulties. Individual teachers and support staff attend training courses run by outside agencies that are relevant to the needs of specific children in their class. Class Teachers are responsible for planning lessons according to the specific needs of all groups of children in their class, and will ensure that your child’s needs are met through effective differentiation. Trained support staff can also adapt the teachers planning to support the needs of your child where necessary to ensure further differentiation if required for your child. Specific resources and strategies, which may include additional adults, will be used to support your child individually and in groups and this will be logged in the support trackers. Smaller focused teaching groups in reading, writing and maths are provided for children who are identified as needing additional support. For some children 1:1 programmes are required to support their continued development and progress. What support do we have for you as a parents of a child with an SEND? The SENCo is also available to meet with you to discuss your child’s progress or any concerns/worries you may have and can help to signpost appropriate areas of support that you may wish to access. All information from outside professionals will be discussed with you with the person involved directly, or where this is not possible, in a report. Support trackers will be shared and reviewed with your involvement each half term. Homework will be adjusted as needed to your child’s individual needs. A home/school contact book may be used to support communication with you, when this has been agreed to be useful for you and your child. There is a parents group at our school for parents of children with SEND in addition to a very active PSA. How is Campsbourne accessible to children with SEND? Both buildings are accessible to children with physical disabilities via ramps. The ground floor of our Junior school building is accessible to those with physical disabilities. We are able to move our classes if required in order to accommodate the needs of a child. We have a toilet that has been modified to enable those with physical disabilities to access it. The infant school building is a one storey building and there is access to a toilet that has is suitable for those with physical disabilities. We have a designated medical room and trained staff. How will we support your child when they are leaving this school, joining the school OR moving on to another class? We recognise that transitions can be difficult for a child with SEND and take steps to ensure that any transition is a smooth as possible and ensures that the child feels supported and ready to make the changes. The SENCo will arrange either a visit to your child’s existing setting or ensure that all information is shared by the previous setting in regards to your child’s needs and to ensure that appropriate support is in place when your child joins us. We will contact the school SENCo and ensure he/she knows about any special arrangements or support that need to be made for your child. Information will be passed on to the new class teacher in advance and a handover meeting will take place with the new teacher. Your child’s support tracker will be shared with the new teacher to ensure continuity of appropriate support. If your child would be helped by a book to support them understand moving on then it will be made for them. The book will use photographs and provide key information for the child such as who their new teacher will be, what their new class looks like and any other important changes for the child. A transition morning is timetabled towards the end of the summer term and offers the opportunity for all children to spend time in their new class and with their new teachers. The SENCo will arrange and attend transition meetings with the SENCo of their secondary school. Class teachers will also have the opportunity to meet with the Heads of Year 7 during the summer visits from Secondary schools. Your child will be provided with access to a Secondary Transition group provided by our Learning Mentors to support their understanding of the changes ahead. What support do we offer for children and young people's overall health and well-being? At Campsbourne we are very fortunate to have two Learning Mentors at the school who work closely with the SENCo and Staff to provide appropriate support for children’s social, emotional and behavioural needs. The learning mentors run social skills groups, provide support to teachers and offer 1:1 sessions for children to explore their feelings and address any concerns they may have. The learning mentors are also available to liaise and provide support to parents. Our learning mentors are also the key people to contact in order to access the two school counsellors that we have at school who are able to provide support to both children and parents. They also provide a range of support including art/play therapy for our children who have identified emotional/behavioural needs. We have an active school council that is run by the learning mentors and offers the opportunity for children to share the views and opinions of their peers about our school and to affect positive changes. When running Annual Reviews for children with SEND their views are gained either through completing a child’s view form or from attending the Annual Review where appropriate. At Campsbourne we have well-established programme of peer mediators, students who are trained to support younger children during their lunchtimes. A high number of staff are first aid trained and able to administer appropriate care for our children. For children with a recognised medical condition who require medication during the school day this is managed in conjunction with the school nurse and parents.